I guess nobody expects me to rate this album. It is one of the greatest free jazz albums ever made – in one line with John Coltrane’s “Ascension”, Eric Dolphy’s “Out to Lunch” and Ornette Coleman’s “Free Jazz”. The reason why we review it here is that ESP has just released it as a 50th anniversary edition with an extra track. Secondly, Sunny Murray played his drums like no one before. In Cecil Taylor’s bands he had developed his own style liberating his drumming from the traditional function of simply marking time by focusing on the cymbals. Amiri Baraka said that he sounded as though he might want to disappear. However, Murray was in the right place at the right time, freeing his instrument from the restraints of simply delivering a beat for the soloists. 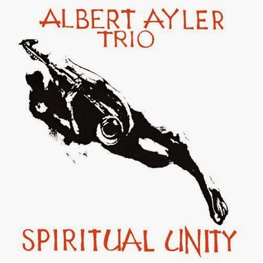 This style gave Ayler the ultimate freedom - a lively pulse free from an enslaving beat - which was exactly what he needed for his solos. In the end, the band was a perfect unit because of its perfect interaction and the autonomy of the musicians. On the surface the musicians sounded as if they were playing for themselves, yet the album was one coherent piece. Ayler said that they “weren’t playing, (they) were listening to each other”.